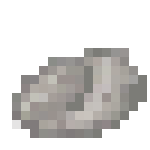 Mortar is created by sealing Sand in a Limewater Barrel or Limewater Large Vessel for 8 in-game hours. Each block of sand requires a minimum of 100mB of limewater, and will result in 16 pieces of mortar. Note: If more than 4 blocks of sand are sealed in the limewater at once, the barrel/large vessel will store the extra mortar in the solid storage slots, automatically moving the extra mortar to the input slot when the 64 mortar in the input slot is removed. Mortar is used in the crafting of stone brick blocks, fire brick blocks, and stone brick walls. Crafting recipes for mortar are shapeless. Mortar is only crafted in a barrel. Ratio is 1 Sand to each bucket of limewater gives 1 mortar. Must be sealed for at least 8 hours to complete. Mortar ratio changed to give 16 mortar per sand block and 100 mB of limewater. A full limewater barrel can create a total of 1,600 mortar, using 100 blocks of sand. A full limewater large vessel can create a total of 800 mortar, using 50 blocks of sand. This page was last modified on 9 January 2015, at 06:05.